Leveraging breakthrough NASA research on redox flow batteries, Deeya Energy has engineered an innovative and powerful energy storage platform ( ESPTM) which is the best solution at today for energy storage in emerging market wireless telecom applications of 0.5-5 kW. Deeya Energy’s patented flow battery technology at the heart of the ESP product family offers superfast charging, large storage capacity, and high cycle life for 5 years or greater operation, even in rugged outdoor environments with temperatures up to 50C. Deeya’s economical ESP products are clean, green, nontoxic and recyclable. 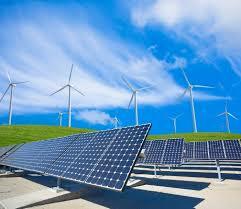 Read more about Deeya’s energy storage solution products. Over one year of performance history at many customer wireless telecom sites has shown that Deeya’s ESP products reduce generator fuel consumption and the cost of on-site power generation by 50% or more, while providing a payback of less than two years. Reducing generator fuel consumption tpis from , maintenance and replacement costs, as well as reducing greenhouse gas emissions, make the ESP the perfect addition to any generator supported wireless telecom site. 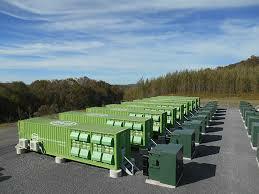 Read more about customer cost savings from Deeya’s energy storage solution. Deeya Energy’s energy storage solutions will also provide compelling benefits to renewable energy sources such as wind and solar, defense applications and grid power.